Those crafty magicians no longer hold the power anymore. 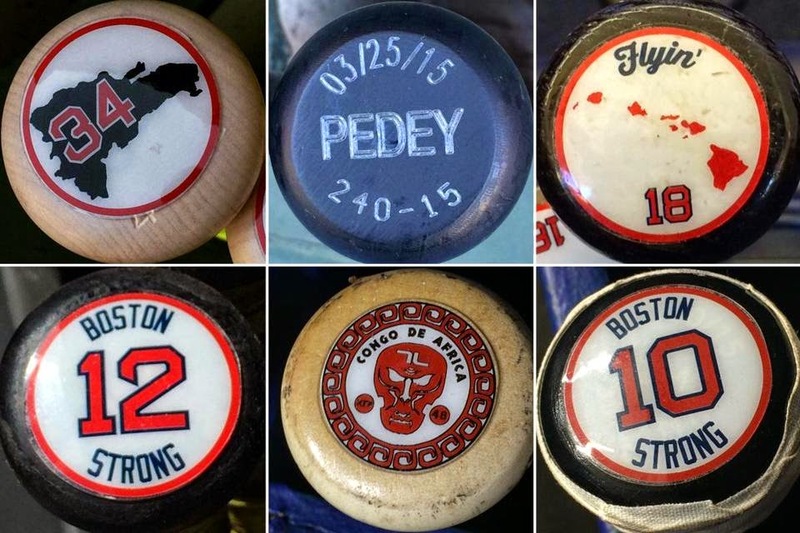 For years I pondered how they knew which bat belonged to each player. Back in 2003, I thought I had the drop on their little dirty secret. I caught a glimpse of the dugout from the third base line during the second game of a back-to-back against the Indians. Victory, and the secret of all secrets, would be MINE!! In the end, I was fooled, foiled and flabbergasted. The Globe's Peter Abraham finally exposed those frauds for who they really are: Cheaters. That's right, bat boys. We've got your number now; experts in the dark art of decal identification. See for yourself, Red Sox Nation.